This past weekend was spent enjoying time with friends and family and it was absolutely perfect. Michael and I played golf after work with one of our couple friends. It was the first time I had played this year so it definitely wasn't my best game, but the weather was awesome and we had a good time. Once we finished golfing we headed up to the bar to grab something to eat and play a few games of darts. It was definitely a fun night with great friends. I started my day off by hitting the gym with one of my girlfriends. Since the weather was so nice, the trainers moved the majority of our workout outside and it was fantastic. It was one of the better workouts I have had in a while. Afterwards, I jumped in the car and drove to my parents. They were watching my nephews for the day/night so I got a lot of quality time in with my favorite boys. My sister invited me to dinner that evening with her girlfriends at our favorite Mexican restaurant. Good food and good company made for a really good time. I volunteered to be their sober driver for a while after dinner so we hit some gravel roads, jammed out to some good tunes, and chit chatted the night away. My nephews were sure to wake me up bright and early on Sunday morning. My dad made us breakfast and then we were off to ride four wheelers and play outside. Later that afternoon I attended a bridal shower for one of my best girlfriends. It was at Prison Brews Sidebar which I had never been to before. 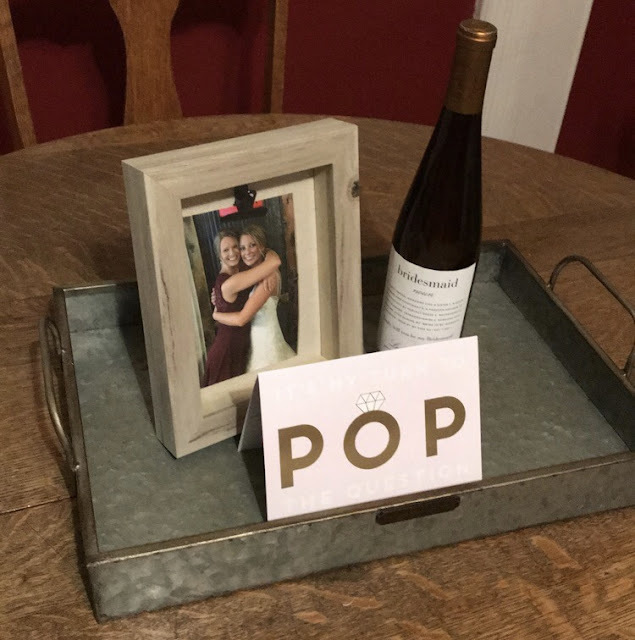 It was such a cute little set up! Her sisters did such a great job hosting and we all had a fun afternoon. I wrapped up my weekend by driving back home and relaxing with Michael. He had gone mushroom hunting with his dad earlier in the day and they found over 100 mushrooms! Michael and I went last Wednesday and found about 40. His mom and brother had found some, too. It has been a good year for mushrooms! 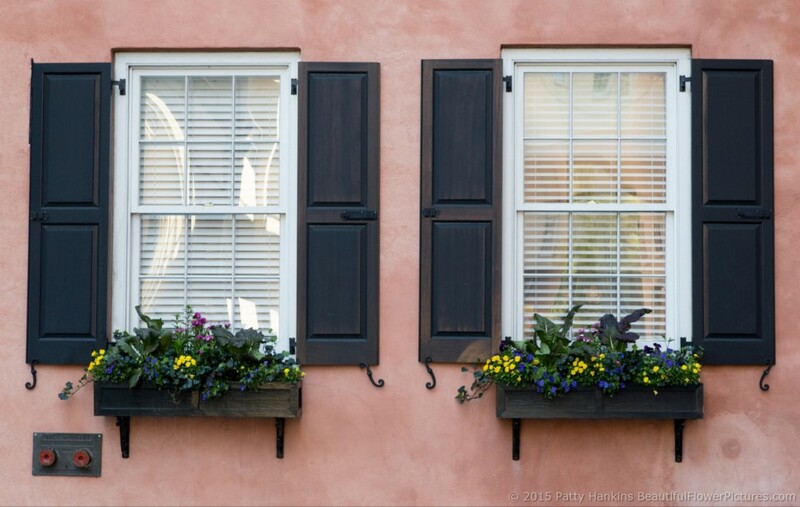 I'm so glad that warmer weather is here and am looking forward to many more weekends and evenings spent outdoors. After work, I made a trip to the grocery store. I have been wanting to test out some new recipes and decided to give zucchini lasagna a try for dinner. Being the picky eater than I am, I wasn't really expecting to like it that much, so I was pleasantly surprised by how much I enjoyed it. Even better, Michael loved it! You can find the recipe I used here. So good! I used ground beef rather than turkey since we currently have a freezer full of beef and pork. I also used a regular baking dish instead of mason jars. We spent the rest of the evening just being lazy and lounging around the house. Michael woke up at 5 a.m. to go turkey hunting, and naturally I couldn't fall back asleep once he left. I got up and knocked out some laundry before heading to his parent's for breakfast. After breakfast, Jessie came over and we went for a long walk followed by some front porch sitting and chit chatting. 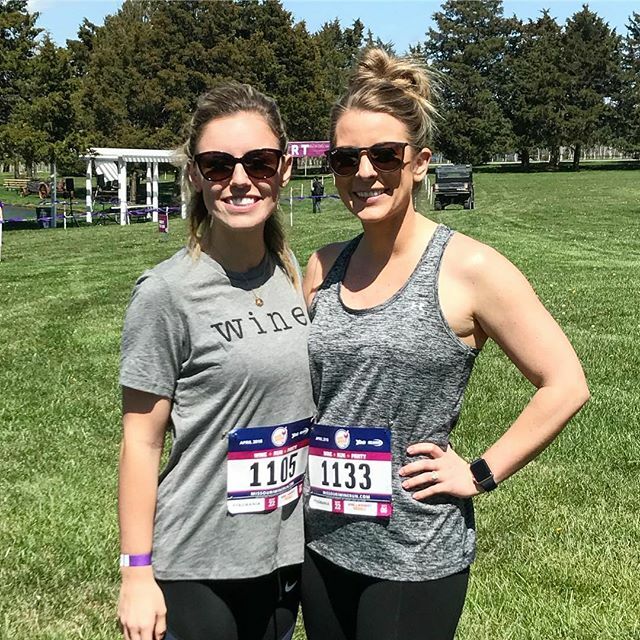 Later, MaKenzie and I spent the afternoon at Cedar Lake Cellars for the Wine Wobble 5K. Since we arrived early, we decided to start our day off with some chicken nachos and wine slushies. We were well aware that this was not the best idea before running 3.1 miles, but man it was good! We struggled through 5K miles together and finished in under 30 minutes. We were both proud of this time since we started off with full bellies and the terrain was questionable (literally ran through a field). Afterwards, we enjoyed some free wine and another wine slushie before heading back to her house. Her fiance had some people over (including Michael) so we hung out, sipped some more wine, and enjoyed the beautiful weather. Michael and I started our day by grabbing breakfast at one of the local restaurants. He played golf in the afternoon and I spent the day around the house. We got a new computer on Saturday so I spent some time getting it all setup. We've needed one for a long time. My old one wouldn't even turn on and his wouldn't connect to the internet so it was quite the upgrade. Later I made time for a run and quick workout and then did some meal prep for the week. I made a crock-pot chicken enchilada meal that turned out pretty well. I didn't follow a recipe but it included chicken, black beans, corn, enchilada sauce, taco seasoning, and rice. I also prepped some protein waffles and fruit for the week. We spent the evening binge-watching Shameless on Netflix. It's a show that we have been hooked on for a while now and we finally made it to season three last night. We didn't realize there were seven seasons! It's going to require some dedication to get through all seven, but I think we can do it. We often disagree on what TV shows to watch so this has been a good one that we both enjoy. It was a nice way to unwind and relax before another work week. A couple years ago, I decided to give Stitch Fix a try and was hooked after my first fix. I loved the idea of having cute clothes delivered to my door and felt like my stylist was really nailing my personal style. Every few months I would eagerly await my fix and tear into it like a kid on Christmas morning! Fast forward a bit, and it seemed like my fixes started feeling less and less customized to my personal style. After multiple fixes where I really didn't like anything that was delivered to me, I decided to cancel my membership with Stitch Fix. To fill the void in my life (very dramatic, I know) I immediately signed up for Nordstrom's Trunk Club. I figured I'd give it a try and if I hated it, then I would give up on my online personal stylists and attempt to be stylish all on my own. 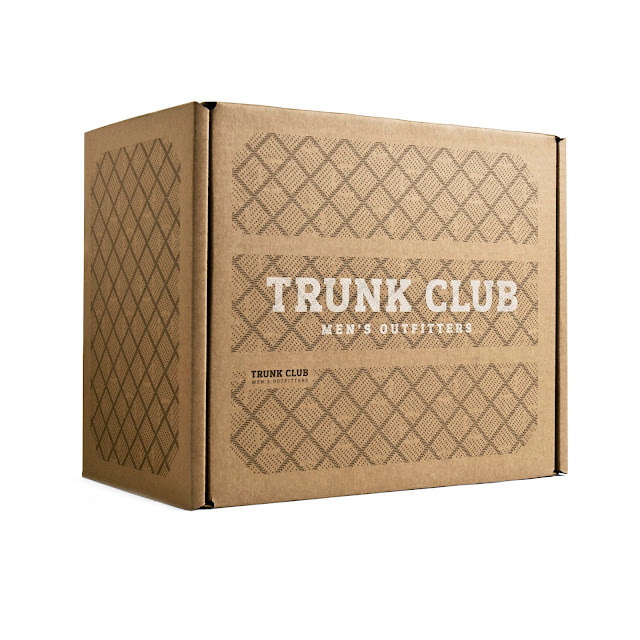 Luckily, I LOVED my experience with Trunk Club and am eagerly awaiting my second trunk delivery. Once I signed up, I was immediately assigned a stylist, Mia. She chatted with me on their app about my personal style and what I was looking for. She asked me what kind of items I would like to receive in my trunk and then sent me a preview of what she had picked out for me. I was able to tell her what I liked/didn't like and why. I personally loved this step because there were a few items that I could tell just weren't "me". She then replaced everything I didn't like with other options before mailing the items to me. It was such an easy process and I really felt like I was getting some great options that I would actually wear on a regular basis. Warning: Trunk Club is much more dangerous financially than Stitch Fix since you receive twelve items instead of just five. My trunk arrived a few days later and I was eager to try everything on. I loved that the items she sent were actually full outfits that I could wear several different ways. Honestly, if I could afford it, I probably would have kept every item she sent me! Pretty much everything was a perfect fit and I had a hard time narrowing it down to just a few items. Here's a peek at what I received. Every single item (shoes included) came in my trunk. My girlfriend and I leave for South Carolina bright and early tomorrow morning! I have had a crush on Charleston ever since I started watching Southern Charm (reality TV junkie over here!) a couple years ago and can't wait to explore the city for the first time. We don't have any plans set in stone but are staying within walking distance to King Street and intend to shop, eat, and drink our little hearts out. This is one of my favorite pictures from our big day. It is a really fun snapshot of my hometown. 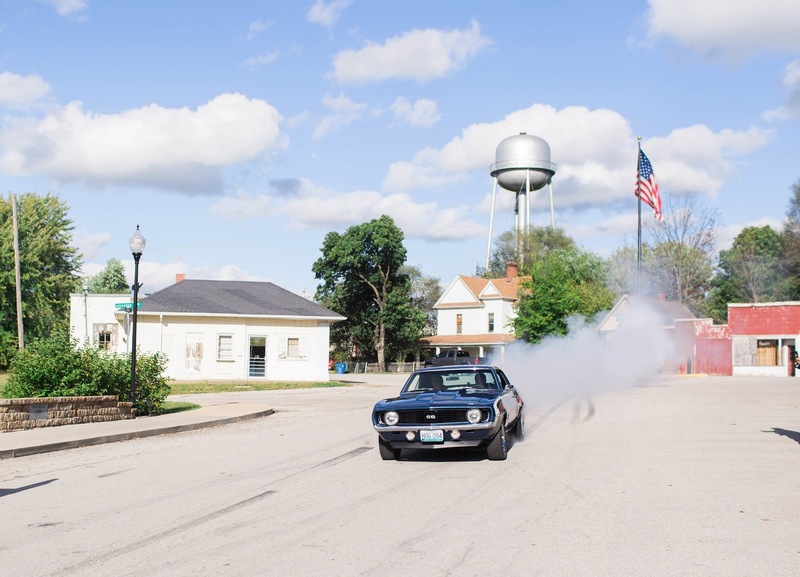 I rode to the ceremony with my Dad in his 1969 Camaro. Afterwards, we headed up to the local bar for a couple drinks while all of our guests got settled at the reception. My Dad made sure to bring the Camaro up to the bar so we could do some burnouts! Michael gave a good effort, but Dad eventually showed him up with one heck of a burnout. It was so much fun. With all the upcoming weddings this year, I thought it'd be fun to show some of the bridesmaid's dresses that I'll be wearing this fall. So far, three out of the four brides have opted to take the Lulu's route for dresses and I LOVE it! Not only are the dresses so affordable, but they're super cute as well. For Heather's September wedding, I'll be wearing a beautiful taupe maxi dress. She knew she wanted more neutral tones for her gals, and loved the trend of the girls wearing something slightly different. What is so great about this dress is that it wraps a million different ways so we'll all be just a little bit different in style, but all the same color. I already received this dress and it fits so well! It's great for all different body types since you can wrap it whatever way you feel comfortable. I personally like the way it's wrapped in the photo above and hope to wear mine somewhat similar to that. MaKenzie is jumping on board 100% with the different style/color dress trend for her October wedding. All of the girls will not only be wearing a different style dress, but also different colors. She's incorporating blushes, blues, and maroons into her overall look and I know it's going to be gorgeous! Two girls will be in slightly different shades of each color and my color ended up being blue. I'm torn between the denim blue and slate blue dress, so I ordered both and am going to wear whichever one I like more. Again, I cannot wait to get them and try them on! Guys, it is the year of weddings for me! My girlfriend, Jessie, asked me to be a bridesmaid in her wedding in August and I could not be more honored. I cannot wait to see how her day comes together. I know her rustic feel mixed with emerald accents is going to be beautiful. Jessie, and I met in college and pretty much immediately became BFFs. We have seen each other at our best and worst and have somehow navigated this crazy life together for the past eleven years. She stood by my side as I married the love of my life last year (I also owe her for introducing me to him all those years ago) and I am so eager to have the roles reversed this year. This marks wedding number four for me in 2018! How fun is this going to be?! I'm ready for all the fun to begin. I finally finished my 2017 photo book! It's a bit longer than my previous books, but we made SO many amazing memories in 2017. I seriously love how it turned out! My childhood friend, Heather, asked me to be a bridesmaid in her wedding this fall and I am so stinkin excited to be a part of her big day. Heather and I have been friends since elementary school and have been by each other's side through pretty much every stage of life. I have to say, this is my favorite stage so far. I'm so happy she found someone who makes her smile and treats her so well. Bring on all the wedding festivities! !